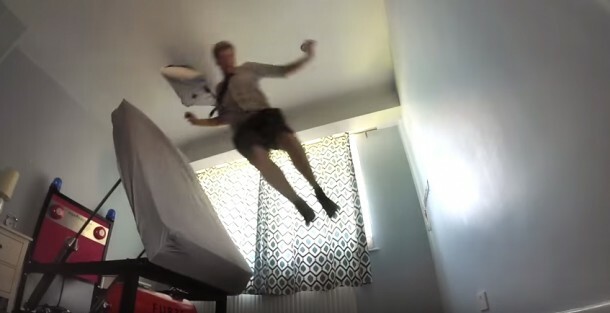 This Bed Will Throw You Out If You Don't Wake Up On Time, Literally!! 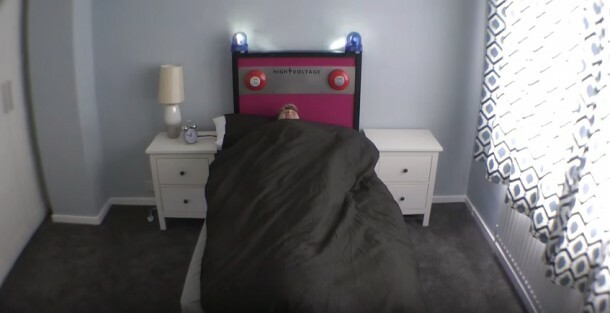 This Bed Will Throw You Out If You Don’t Wake Up On Time, Literally!! Getting up in the morning at the right time can make your day a success or a failure. Despite being this important, you will find that most of the people are not able to wake up on time. Many of you have a practice of setting up multiple alarms, however, be honest and tell us this; does it really work? We bet it doesn’t. The solution to this conventional problem has to be non-conventional. We’ve covered some amazing alarm clocks that ensure that you do get up from bed, however, maybe it is time to crank things up. 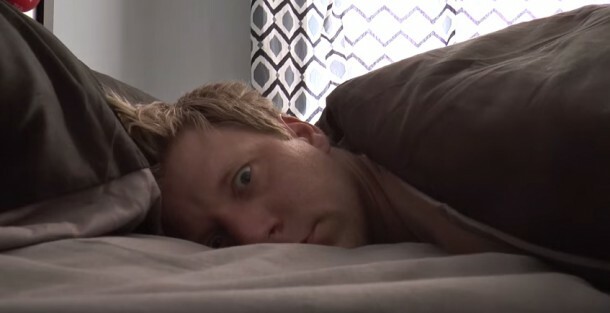 Meet Colin Furze. He is the mad scientist of today who runs a YouTube Channel and takes requests on what to make in his next experiment. What’s so thrilling about him? He always delivers some amazing stuff! 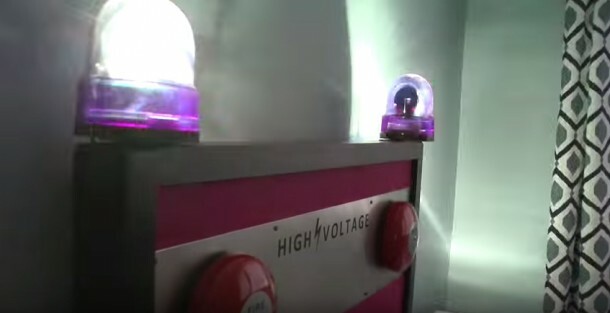 His latest creation is the High Voltage Ejector bed! What does it do? 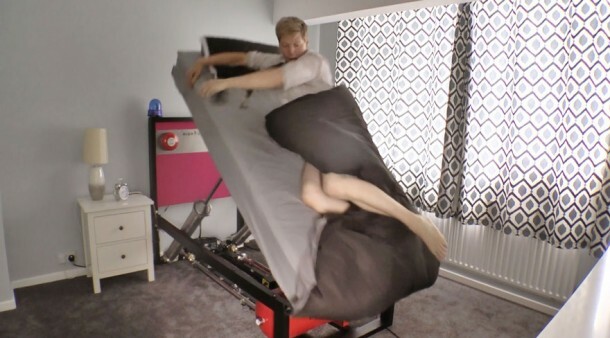 The bed basically ejects the user out of itself and into the world of shocks and horror! Keep scrolling and you’ll understand what we mean. Here you go, this is what will happen once it is time to wake up; up up and bam! The downside is that it is quite under-tested as of now and potentially dangerous. You might want to look into life insurance policy before you try this out. Check it out in the video below and let us know what you think of this amazingly-potentially-dangerous creation.